Home buyers are facing a tough shopping season this Spring, especially those doing it for the first time. There's just not enough housing available, and the shortage has caused home prices to rise. In the hottest markets, sellers are getting multiple offers well over asking prices. "It will be tougher this year," said David Berson, chief economist at Nationwide and a former chief economist for Fannie Mae. "There is going to be less choice and higher prices, and on top of that, mortgage rates have moved up." Not only do first-time buyers have a dearth of homes to choose from, starter-homes are more expensive, smaller, older and more in need of repairs than they were six years ago, according to a recent report from Trulia. "Everything about buying a starter home has become less desirable," said Cheryl Young, Trulia's senior economist. Where are all the 'For Sale' signs? Existing home inventory fell to an all-time low at the end February, according to the National Association of Realtors. Rising land, building and labor costs have made constructing starter homes tough for builders who can get higher returns on upper-tier homes. People are also staying in their homes longer, adding to the lack of inventory. "The price difference between starter and medium trade-up homes has gotten wider," said Young. "People might not have a problem selling their home ... but the idea of that price spread has kept people in their current homes." Many homeowners are still underwater, meaning they owe more on their mortgage than their home is currently worth, so it wouldn't make sense to sell right now. "For many current homeowners, if they bought a home in the last 10 years or have refinanced, they have a lower rate than any time they've seen in their lives and possibly ever will," noted Berson. When a home does hit the market, buyers need to act fast. "It's a full-time job to be a buyer," said Kalena Masching, a real estate agent with Redfin in the San Francisco Bay Area. "They are out there every weekend and also going out right after work and during lunch breaks." The Bay Area is one of the hottest markets in the country. It's common for homes to go into contract within days of hitting the market, with some not even making it to market before bids come rolling in. Masching said the market has been "crazy" for the last few years. She recently had a client win a bid after putting in five offers. His winning offer was $500,000 over asking price with no contingencies. He also presented a letter from his parents that detailed all their assets along with their willingness to help him out. Wanna-be buyers have to get creative to stand out in hot markets. Real estate agent Dana Bull in Boston said she recently wrote an offer that allowed the current owners to stay in the home for free for two months after the sale. Starter home prices have increased almost 10% compared with last year, while inventory levels fell 14% over the same time period, according to Trulia. The longer buyers hunt for houses, the more likely they are to face higher costs as home prices and mortgage rates rise. The rate on a 30-year fixed mortgage was 3.95% at the beginning of 2018 and climbed to 4.44% before the start of April. That means a buyer will pay $57 more a month now assuming a $250,000 price tag and 20% down payment. Changes to the tax code passed at the end of 2017 could also affect some first-time buyers. The interest deduction is now capped at $750,000 of mortgage debt for new home purchases. It used to be $1 million. Homeowners also have a new $10,000 cap on how much of their property taxes, combined with state and local taxes, they can deduct. These changes could be bad news for home shoppers in high-tax states. The new code also nearly doubled the standard deduction, which makes home-related deductions less valuable for some filers. But despite all the obstacles, the successful home buyers are one the ones that come prepared. 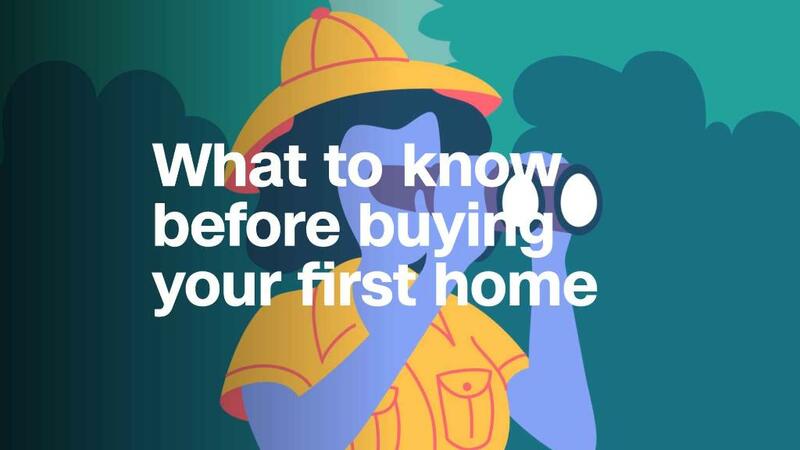 "The more prepared you are with your financing and the overall idea of what you are looking for, the better your home search is going to be. And it will be a lot quicker," said Masching.